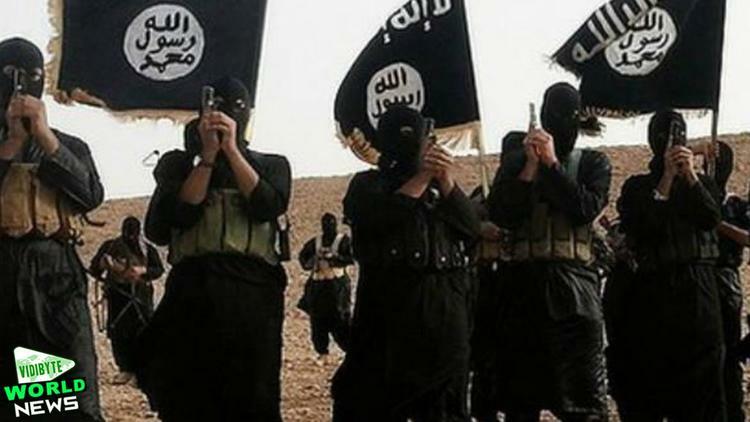 Daesh (ISIS, ISIL) has pledged to attack and destroy the two Saudi political prisons, al-Ha’ir (Riyadh) and al-Tarfiya (Qaseem region), where Muslim radicals are typically held, and release their inmates. These prisons hold several thousand Saudis accused of involvement in terrorism. It was the organization’s first response to Saudi’s execution of dozens of accused terrorists last Saturday. Analysts said that the announcement was an indirect rejection of any deal for the exchange of prisoners with Saudi Arabia. In the organization’s weekly magazine, “al-Naba'”(News), as reported at al-Bawaba, it carried an article condemning the Saudi monarchy for executing 47 prisoners last Saturday. Although most attention has focused on the four Shiites among them, including cleric Sheikh Nimr Baqir al-Nimr, because of the Iranian reaction, the bulk of those executed were al-Qaeda members who carried out terrorist attacks on Riyadh and other Saudi cities in a campaign that lasted from 2003 to 2006. Daesh called the terrorists “Unitarians” or “Monotheists,” which is what Saudi’s Wahhabi branch of Islam calls itself. Daesh said that the Saudis were implicitly announcing a new policy, of mass incarceration of Daesh sympathizers (“unitarians”), so as to use them as hostages whereby to threaten the jihadis. In response, Daesh said it would kill any official holding Daesh prisoners in Saudi Arabia. They said that other regimes had attempted this tactic, including the Alawites of Syria and the Shiites of Iraq, and it had yielded nothing but the collapse of their power at the hands of the holy warriors. They pointed out that they had emptied three prisons in Iraq of their inmates, in Tikrit and Ninewah Provinces. The article went on to attack the founder of the modern Saudi state, Abdulaziz Ibn Saud, as having fooled the Saudi Bedouin into supporting him on the grounds he was a unitarian or strict monotheist, whereas he and the clerics who supported him were corrupt. Fascinatingly, this critique of Ibn Saud was common among a Saudi rural fundamentalist movement, the Ikhwan or Brethren, in the 1920s (over his introduction of the radio and his treaties with Christian Britain and with regional powers), and led to the Ikhwan rebellion of 1928-1930, which Ibn Saud put down with the help of the urban population. It was a turning point, after which the Saudi monarchs’ power base was increasingly urban. Rural discontents have remained strong (Saudi Arabia is 87 percent urban now), and this article suggests that some section of Daesh is made up of Neo-Wahhabi Brethren. Daesh also maintains that the Saudi royal family (there are 7,000 princes but perhaps a dozen really consequential ones) is riven with power rivalries, and that rivals of King Salman are saying that they can take on the Muslim radicals more effectively than he has. The allegation makes some sense of why the king may have felt it necessary to stage a spectacle of mass executions last Saturday– he is fending off law and order candidates seeking to weaken him and ultimately replace him. Of Crown Prince Muhammad Bin Nayef, the minister of interior, and Deputy Crown Prince Muhammad Bin Salman, the minister of defense, the article said that the former wars on the unitarians inside the kingdom, and the latter attacks them abroad. The article may be vastly exaggerating, of course, but it depicts Daesh as having extensive cells inside Saudi Arabia, which so pose a threat to the monarchy that it was panicked by internal criticism into that mass execution, as a show of force.